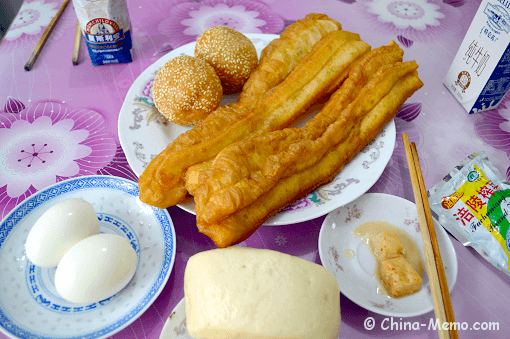 In my last post Chinese Breakfast (1), I have introduced the breakfast like congee, rice wine and noodle soup. 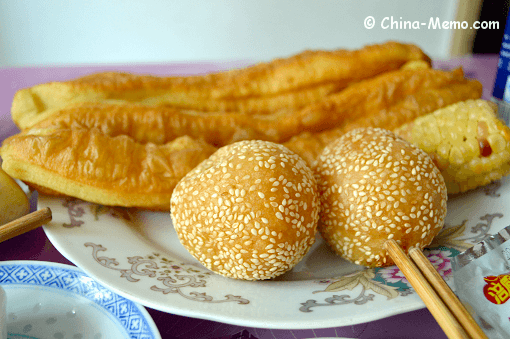 Here are more examples of steamed buns, fried dough sticks and rice balls. Apart from those soup or liquid types of breakfast, we also have the wheaten food (flour-made food). The most common ones you will see are the steamed buns, dumplings, fried dough sticks, flat bread or food like pastry or pie (just we name them differently). 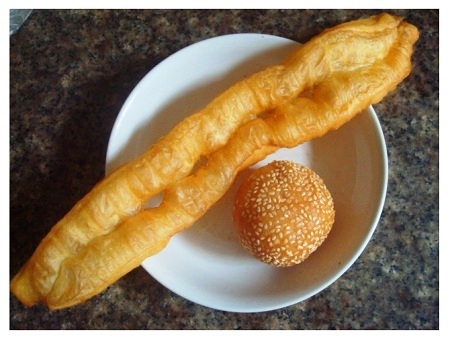 Fried dough stick (You Tiao, 油条） is one of my favourite choices. It is slightly salty and crispy outside. 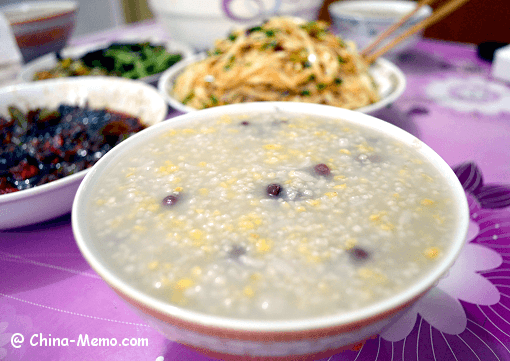 It makes a fabulous combination with sweet rice congee. 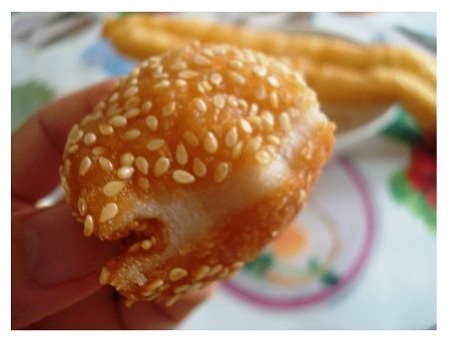 The glutinous rice ball （You Tuo，油坨） is slightly sweet and chewy, which I would go with plain rice congee and salty tofu bean curd. 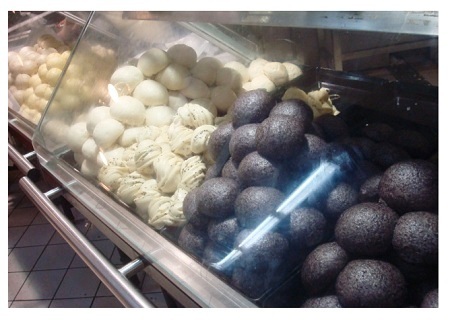 If you travel in China, you may see the steamed buns （ManTou, 馒头） everywhere. 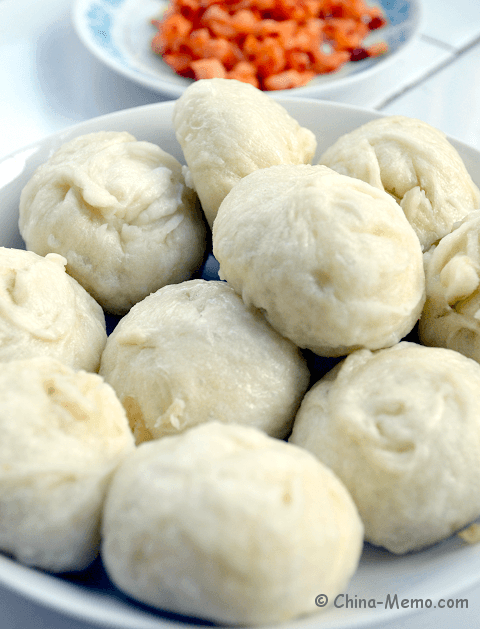 In the south, steamed bun is commonly for breakfast and rice is for lunch and dinner. 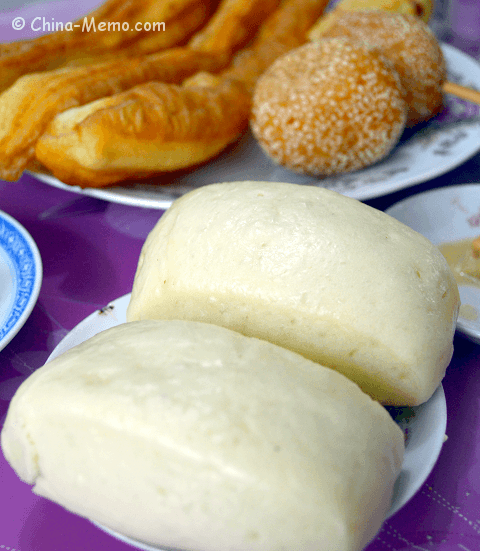 In the north, steamed buns can be available for all three meals, just like bread in the west country. 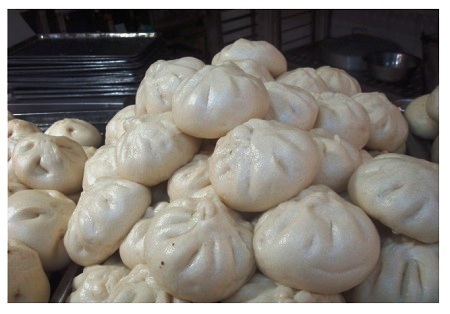 The steamed buns can be plain taste or stuffed with minced meat, sweet red beans or chopped vegetables. 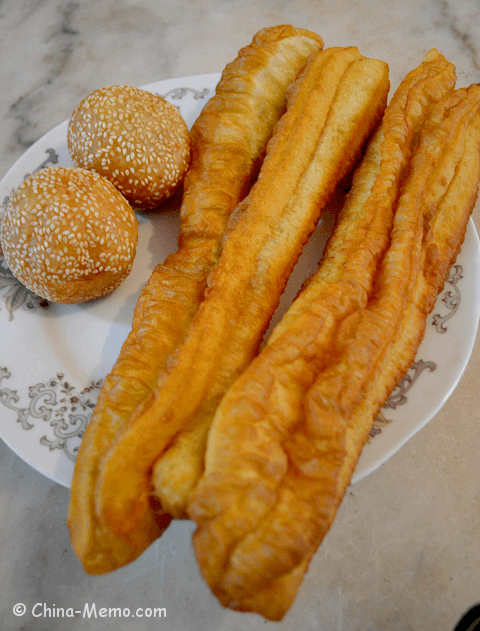 Those buns with fillings are called Bao Zi, 包子. People like my parents know how to make buns at home. But nowadays, it is easy to buy from the street, food stalls or supermarket. These are the meat stuffed buns in the local food market. 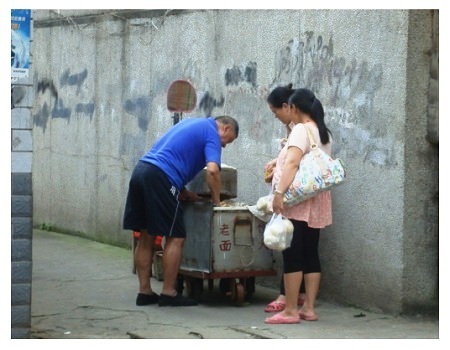 As seen in this picture, people are buying the steamed buns at the street corner. Hope you like this page, please share with your friends, Like it on Facbook or share on Twitter! More about dumplings see Chinese Food Breakfast (3). 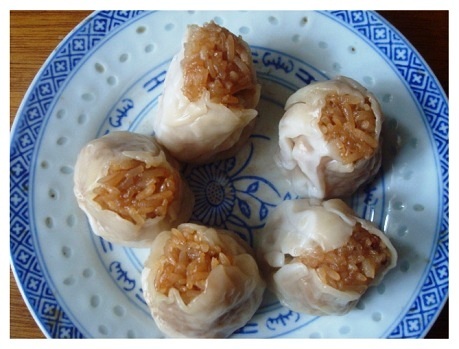 For more local food in China, you may check Chinese Festival food, or find out more about my Chinese food recipes. Sichuan cold noodle is my favourite dish in the summer. Salt, sugar, vinegar and chilli for sauce, frying leek, ginger and cooked prawn adds extra flavour to the noodle. Guangxi Guilin travel tips which cover 5 day itinerary, best time to visit, cost, local transport andcloth and warnings. Having a Chinese Shepherds Purse egg soup is a folk custom on the third of March in Chinese Lunar calendar. A healthy fresh homemade soup with a lovely earthy smell.